Built by Suibhne, this oldest stone castle in Scotland belonged to the MacSweens, Lords of Knapdale, until the latter half of the 13th century. It is currently under the protection of Historic Scotland. and the encouragement of traditional and Christian values in society. St. Suibhne Trust, Inc., DBA the St. Suibhne Trust, is a 501(c)3 tax exempt public charity incorporated in Maryland, U.S.A. on 4 October 2017. It traces its origins to Nova Scotia, Canada when Captain the Chevalier Richard Mingo Sweeney of Bolger’s Park (1922-2015) founded the original St. Suibhne Trust in 1972. Based in Pictou, he worked tirelessly for many years to further its mission of encouraging and supporting a wide range of historical, genealogical, and heraldic publications, projects, and collaborative ventures. Originally named the St. Lazarus Trust, it was incorporated on 13 March 1972 and had its name officially changed to the St. Suibhne Trust on 8 December 1975. R. Mingo Sweeney was born on 29 October 1922 in Trochu, Alberta. Following the Great Depression, his family settled in Bermuda. 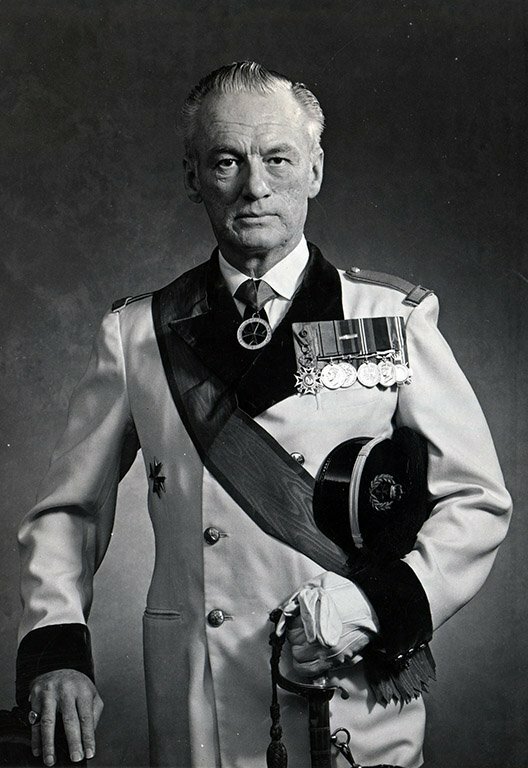 In 1939, he joined the Canadian Army in Charlottetown, Prince Edward Island. He later joined the Royal Canadian Navy and was commissioned a Lieutenant in 1942. 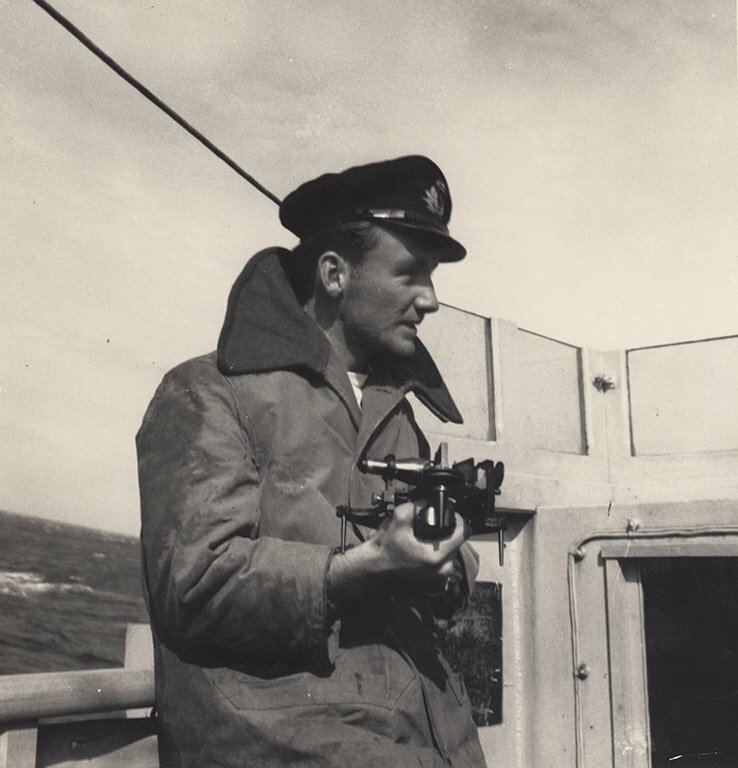 He served as Gunnery Officer during the Battle of the Atlantic on board the K172 Corvette, HMCS Trillium. He was then given command of the Port Security Guard in St. John’s, Newfoundland from 1943-46. Following the war, he became involved in the Cadet Corps in Montreal, Quebec and attained the rank of Captain (Canadian Army). The original St. Suibhne Trust engaged in many collaborative initiatives, including such projects as “The Wall of the Baronets of Nova Scotia.” In partnership with the Hector Centre Trust, the St. Suibhne Trust played a leading role in producing a brilliant replica of the original Wall, which resides in Menstrie Castle, Scotland. Intended as a travelling exhibit, it consists of heraldic shields bearing the arms of the 109 Baronetcies of Nova Scotia. 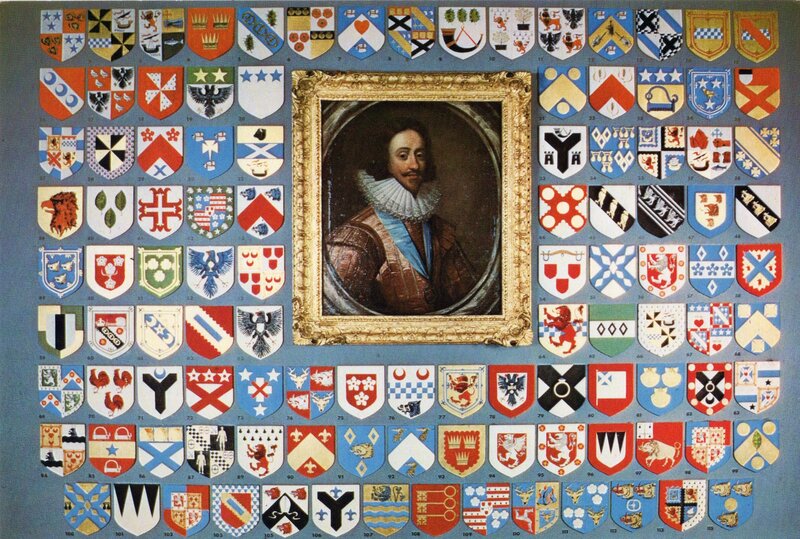 The portrait is of Charles I, King of Scotland and England. Future projects of the current St. Suibhne Trust include pursuing the publication of The Broken Sword, an epic tale in four books of historical fiction set during World War II, written by our founder, R. Mingo Sweeney.